48" x 36" Tackboard surrounded by silver aluminum frame. 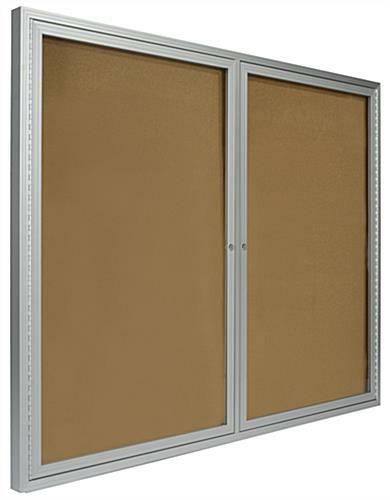 Acrylic swingframe doors includes lock and key. 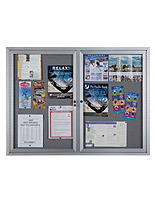 Large interior space allows for posting messages, photos, memos, and posters. Cork board mounts to wall with included hardware. 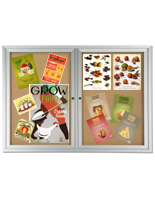 These framed cork boards are great for classrooms, businesses, community centers, and libraries. The swingframe tackboard features two swinging panels. 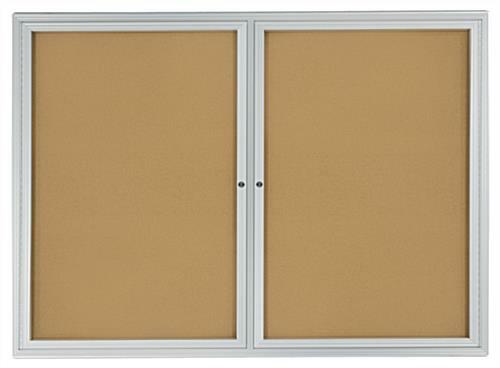 These framed cork boards, with the silver frame, include two locks. 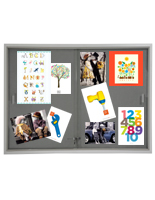 The acrylic doors can be secured to prevent tampering and theft. 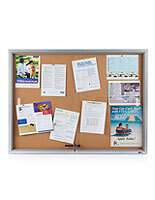 The framed cork boards, that are 48” by 36’”, features ample room to post messages and office memos. The cork tackboard has a large interior. 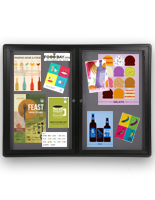 The framed cork boards, with swinging acrylic doors, will complement any environment it is purchased for. 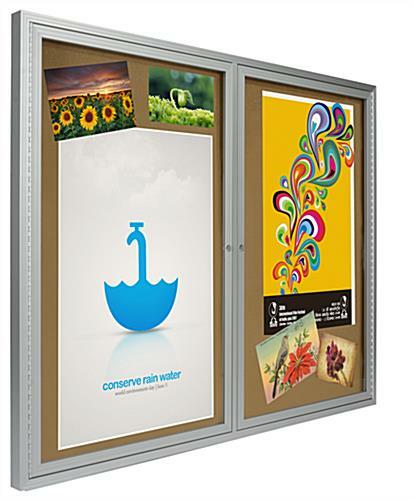 Users will be able to communicate to large audiences with this swingframe tackboard. 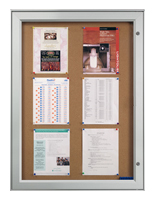 These framed cork boards, that have acrylic doors, are ideal for businesses to reach large audiences. Users can post everything from messages and notices to schedules, artwork, and posters. 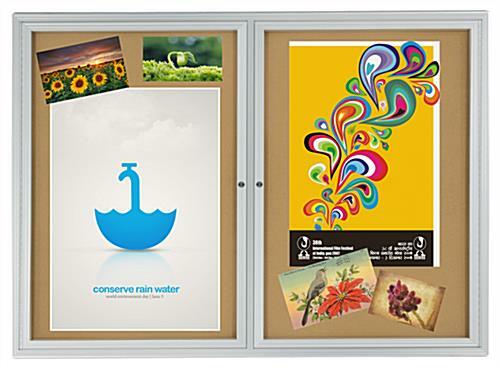 All framed cork boards that have locks, are effective communication tools. The aluminum frame surrounding the large interior space fits great in commercial spaces. 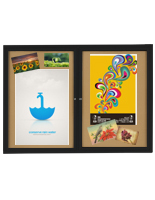 These framed cork boards, also known as swingframe corkboards, can be mounted directly to the wall. Users can easily update the content from the front. These tackboards, framed cork boards give users the ability to communicate ideas and post announcements. 48.0" x 24.0" x 2.0"